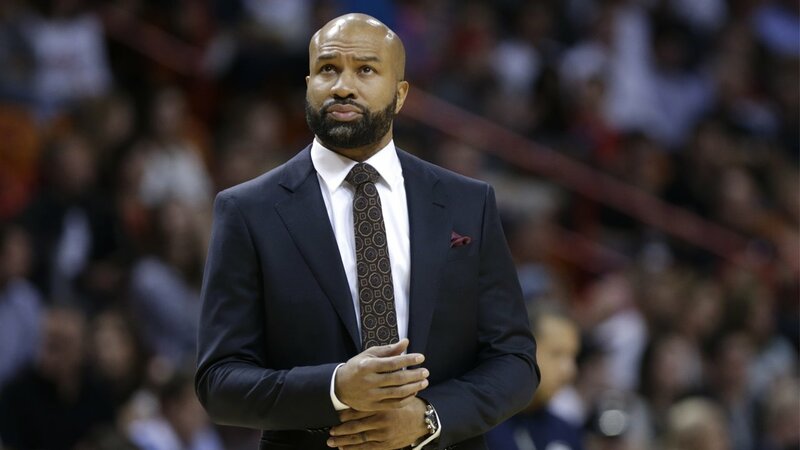 NEW YORK -- The New York Knicks have fired coach Derek Fisher after a five-game losing streak left the team 1-9 in its last 10 games. ESPN's Ramona Shelburne and Ian Begley first reported the firing. The Knicks are 23-31 this season after going 17-65 in Fisher's first season. New York's current losing skid contributed to the timing of the move, but the team was already convinced Fisher was not transitioning from the role of player to coach effectively, sources told ESPN's Brian Windhorst. Fisher was hired by team president Phil Jackson to rectify the struggling New York franchise. Fisher and Jackson have a history together dating back to when Jackson coached the Lakers, and Fisher was a point guard on the team that won five championships. Fisher, who had no previous head coaching experience, took over for Mike Woodson, who went 109-79 in parts of three seasons in New York. Woodson, however, won only one playoff series. The Knicks currently sit 12th in the Eastern Conference. Fisher thanked Jackson, Madison Square Garden Chairman James Dolan, along with his players and staff. "This is a very talented team with strong character and I am confident they will succeed," Fisher said in a statement. "Obviously, I'm disappointed, but have learned an immense amount from this experience and hope to grow from it." Assistant Kurt Rambis will now serve as interim coach. Rambis played on four Lakers title teams and was a coach or executive for four others. He coached the Timberwolves to a 56-145 mark from 2009-11. Two other former Jackson players, Brian Shaw and Luke Walton, are candidates to the full-time job, sources told ESPN. Shaw coached parts of two seasons in Denver, while Walton led the defending champion Golden State Warriors to a record start this season, filling in for injured coach Steve Kerr. Sources tell Shelburne, though, that Walton is determined to take his time before accepting a head coaching position. Much like Kerr two summers ago, Walton wants to make sure he's setting himself up for success. The Knicks upgraded their roster during the summer with the drafting of Kristaps Porzingis and the signing of veterans Arron Afflalo and Robin Lopez. They had the look of a playoff team most of the season but are stumbling into the All-Star break, and fans loudly booed when they fell behind by 19 points Sunday during a 101-96 loss to the Denver Nuggets. Fisher accepted some of the blame for the team's recent slow starts after the game, though All-Star forward Carmelo Anthony said that was the responsibility of the players. The Knicks haven't won a title since the 1972-73 season.